Two Republicans representing Southwest Florida in Congress–U.S. Reps. Vern Buchanan and Francis Rooney–are calling on the federal Small Business Administration (SBA) to declare their part of the state a disaster area due to the the continued problems of red tide and toxic algae. Francis wrote SVA Administrator Linda McMahon on the matter on Friday, urging her to make a declaration for Lee County. Buchanan followed suit on Monday, focusing on Sarasota, Manatee and Hillsborough counties. “I’m writing today to urge the Small Business Administration to issue an immediate disaster declaration for Sarasota, Manatee and Hillsborough Counties due to the widespread economic devastation caused by red tide,” Buchanan wrote on Monday. 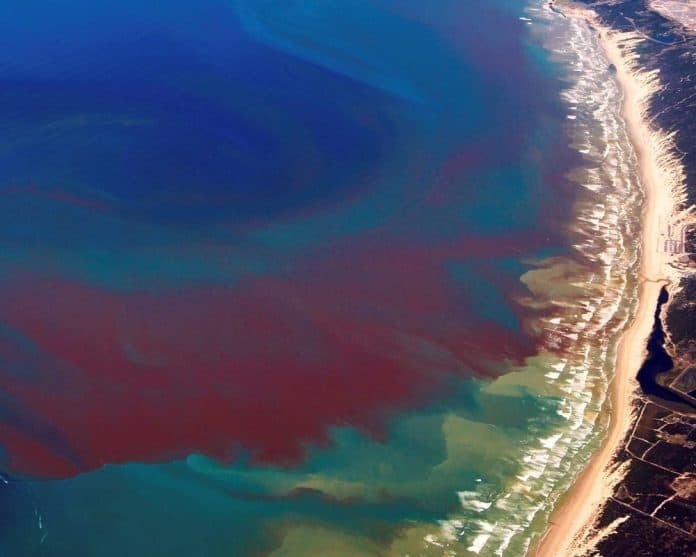 “Red tide blooms off Florida’s west coast, among the worst in history, have damaged our economy, marine life and environment. Disaster assistance loans provided by the SBA are critically important to help our local businesses recover from this devastating crisis. Gov. Rick Scott has formally requested a disaster declaration for our region, but as the co-chair of Florida’s congressional delegation and a senior member of Congress, I wanted to add my weight to the urgency of the matter. “The stench of dead fish littering our beaches and respiratory problems caused by the current outbreak have caused people to cancel or change travel plans to some of the region’s most popular tourist attractions and driven local residents inland, away from coastal businesses,” Buchanan added. “Due to the overwhelming environmental damage red tide has inflicted on our coastal communities, Suncoast small businesses have reported millions of dollars in lost revenue. In August alone, Sarasota County reported more than $1.4 million in damages. A survey by Visit Sarasota County found that 75 percent of local hotels have seen reservations canceled due to red tide concerns.